The fennel bulb is actually the base of the fennel(saunf) plant. It’s a shame that it isn’t used in India as it is edible and has some of the benefits of saunf. 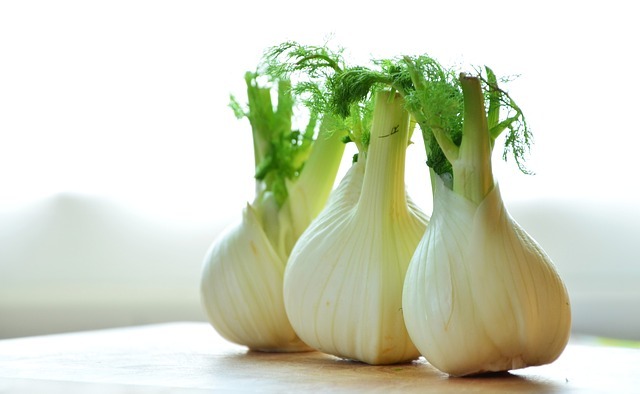 The fennel bulb is low in calories and rich in fibre and contains vitamin C and potassium. Fennel (saunf) has been used for ages for aiding digestion after meals and also as a carminative (relieving flatulence/gas) and the same properties are present in the bulb too. 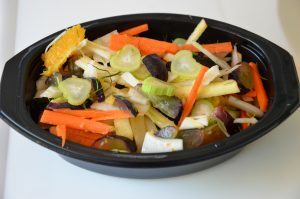 It has a mild saunf flavor and a lovely crunchy texture and is perfect for salads. Add the Apple Cider Vinegar and lemon juice, salt and chaat masala and toss. Chill in the fridge for at least half and hour.